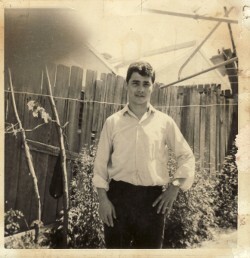 Above: Agiassos, 1965. Last photograph with my family before I migrated to Australia. Standing from left are: myself; my sister, Katina; my brother-in-law, Dimitrios and my siter, Despina, Xinellis; my sister, Stavritisa; my brother, Dimitrios; my brother-in-law, Christos, and my sister, Rinoula, Tinellis. 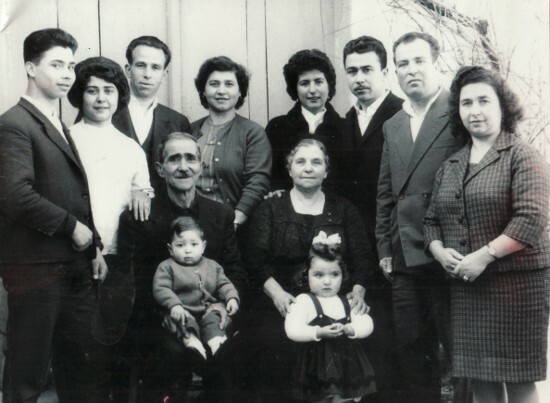 Seated are my parents, Vasilios, who is holding Despina's son, Georgios, and Maria, who is holding Rinoula's daughter, Giannoula. 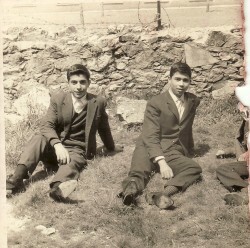 Above: Celebrating the 'panygiri tis Lambris' with my friend, Ioannis Kambirellis. The photograph was taken only a couple of weeks before I migrated for Australia. Above Right: A photograph of me taken in the first couple of years I was living in Sydney. Above: Sydney, 1970. 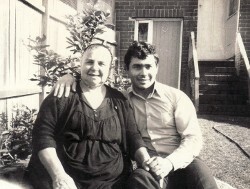 With my mother, Maria, who was visiting Australia at the time. 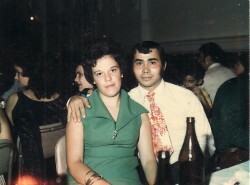 Above Right: With my wife, Ioulia. 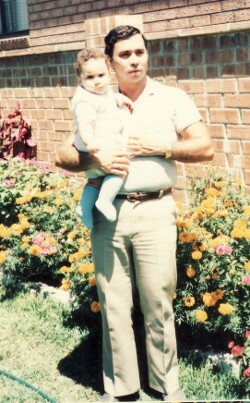 Above: Holding my son, Vasilios, when he was a young child.